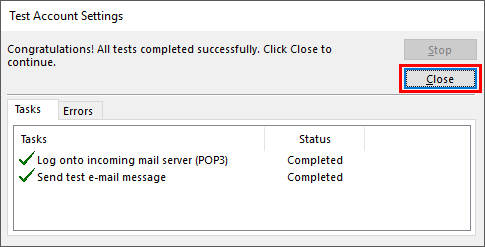 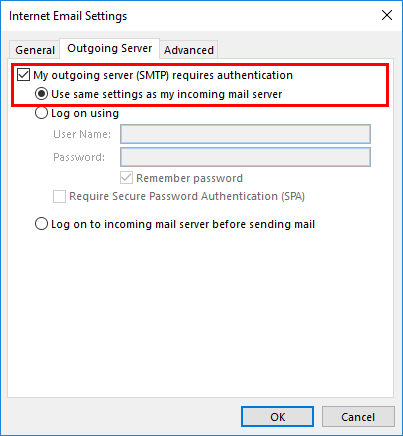 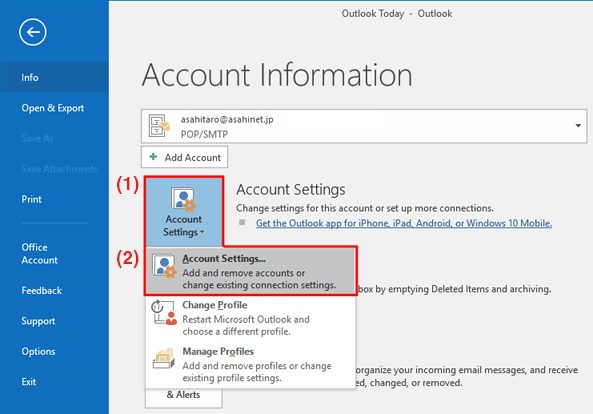 The settings on this page show how to confirm your settings on Microsoft Outlook 2016 for Windows. 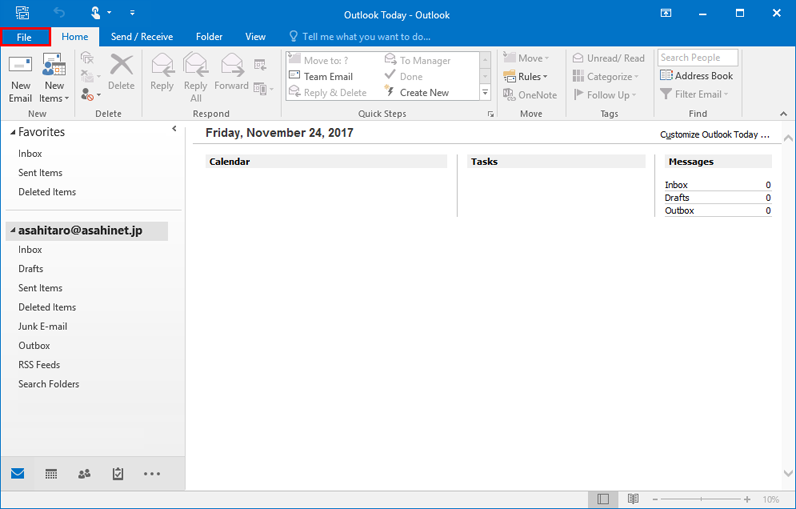 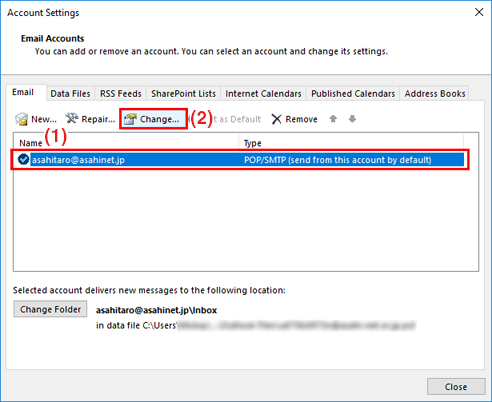 After Outlook 2016 is launched, click File in the top left. 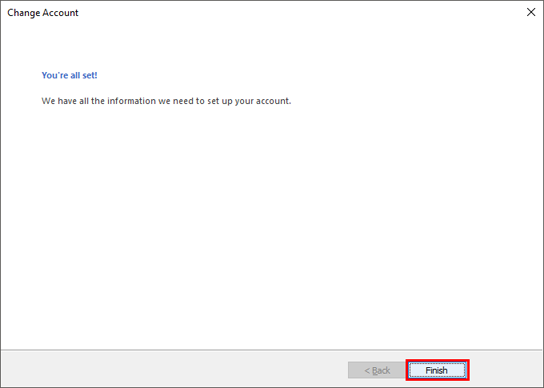 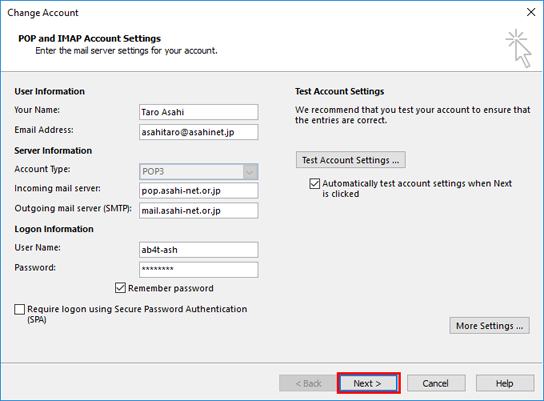 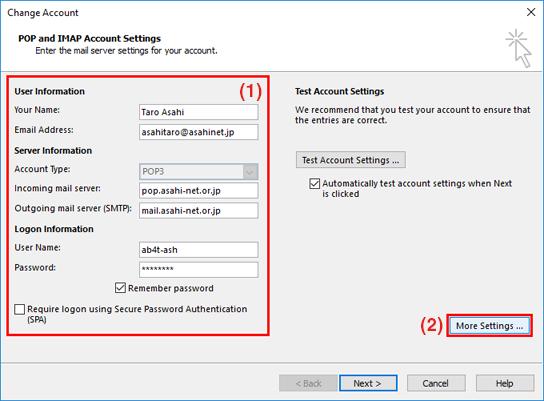 (1) Select the account whose settings you want to confirm, and then (2) click Change. 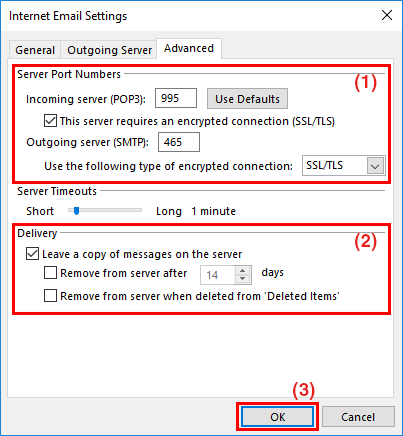 Select SSL/TLS (for Office 365).